What works in education, and what's missing? What works in education, and what’s missing? Stay the course with higher standards and quality assessments. Fund early childhood education and focus on literacy. Those were Tuesday’s key messages from two national educators: David Driscoll, a commissioner of education for the commonwealth of Massachusetts, and Eric Smith, a commissioner of education to Florida. Driscoll and Smith spoke to a crowd of about 100 and took questions during a free, 90-minute forum in Boise, part of the Ed Sessions 2.0 series and sponsored by the J.A. and Kathryn Albertson Foundation. The two lifelong educators said it is essential that Idahoans ensure equality for all kids, stabilize school funding and master teacher evaluations. They shared what they consider mandatory characteristics for a state superintendent; Idaho superintendent’s candidates Sherri Ybarra and Jana Jones were both there to listen. They also talked about what’s missing in American education. The missing ingredient, said Smith, is that Americans don’t elevate classroom teachers as respected professionals. Both agreed that more money doesn’t mean better academic results. But stable funding sources can help. “I’ve never been employed in a place where we had enough money … and we didn’t change our mission of working for kids,” Smith said. Predicting the future, Driscoll and Smith both complimented the progress of Common Core Standards and assessments that will likely continue in 35 to 40 states over the next two years. Click here for more complete bios of the speakers and an archived video of the event. NOTE: Nancy S. Grasmick, who served as state superintendent Maryland Public Schools for 20 years, was supposed to attend but canceled because of an injury. 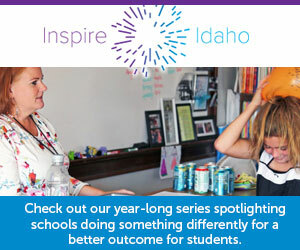 Disclosure: The Ed Sessions 2.0 series and Idaho Education News are both funded by the J.A. and Kathryn Albertson Foundation.